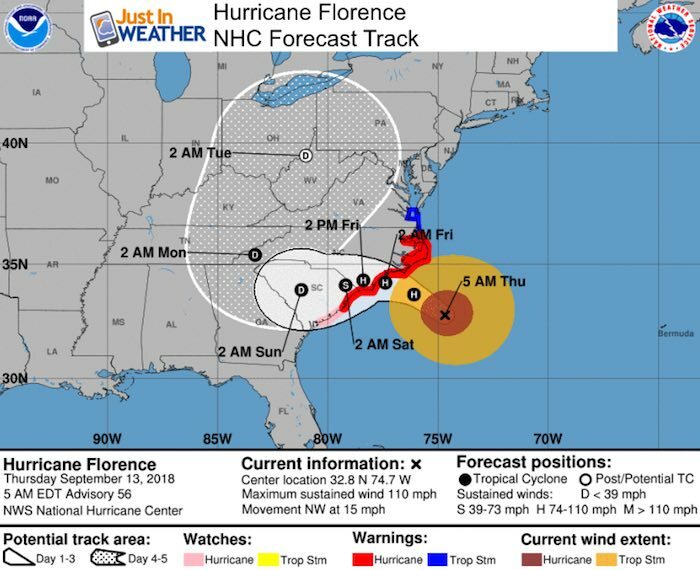 Hurricane Florence has weakened to a Category 2 overnight. 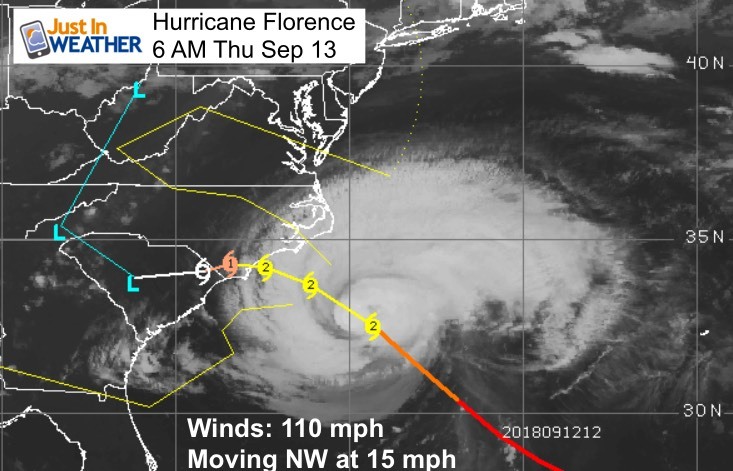 Winds are now 110 mph and still very powerful. 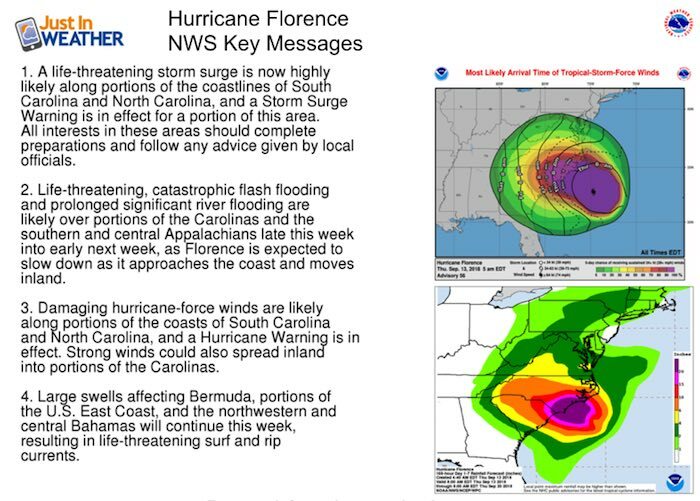 The lower category does not lower the threat to the east coast as there is still wave memory pushing water onshore and plenty of rain to dump as it slows to a crawl for the Carolinas. The outer clouds have reached Maryland as seen in the satellite loops below. 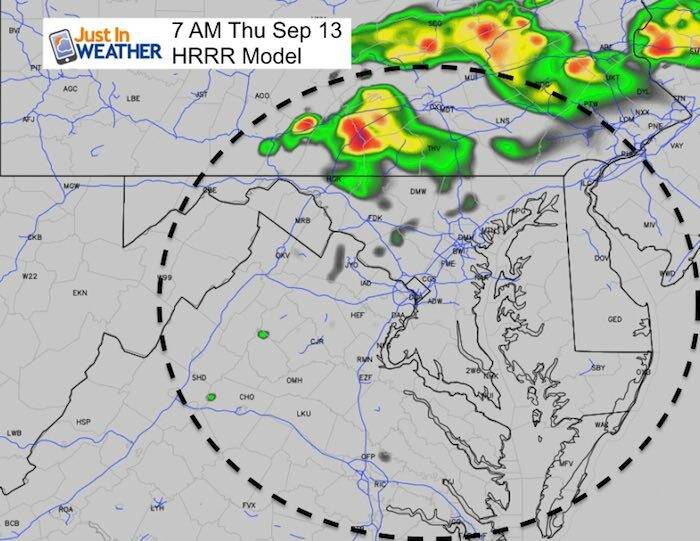 Locally we will get showers, but not the main event. Our biggest impact will be on Friday with some areas seeing another round of showers Saturday afternoon. Overall a glancing blow and minor. See more details of the local impact below. 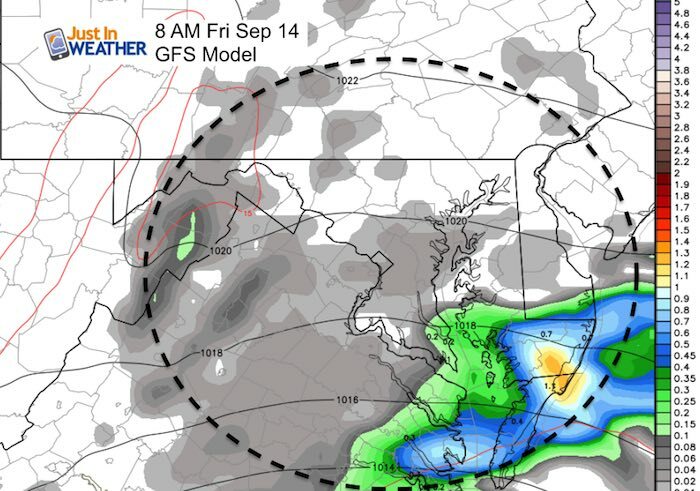 This is a better resolution view to show the high level moisture reaching southern Maryland and Delmarva… but the rain is still offshore. Dry air has wrapped in causing the weakening. It is expected to at least maintain intensity today and still produce life threatening flooding rain and storm surge in the path. 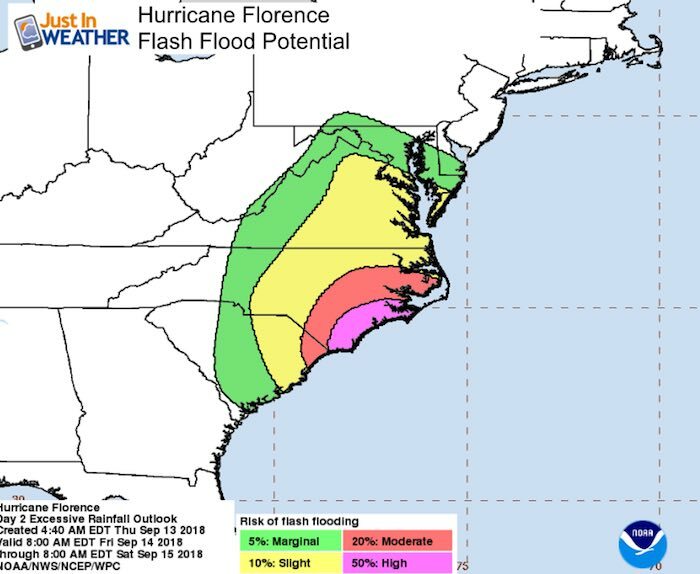 The Flash Flood potential in southern Maryland is 10% or less. 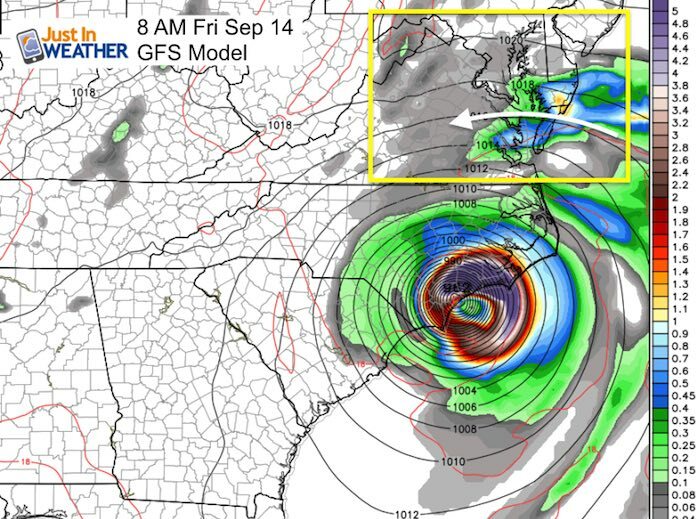 The GFS Model shows the heavier rain band reaching Ocean City Friday morning. 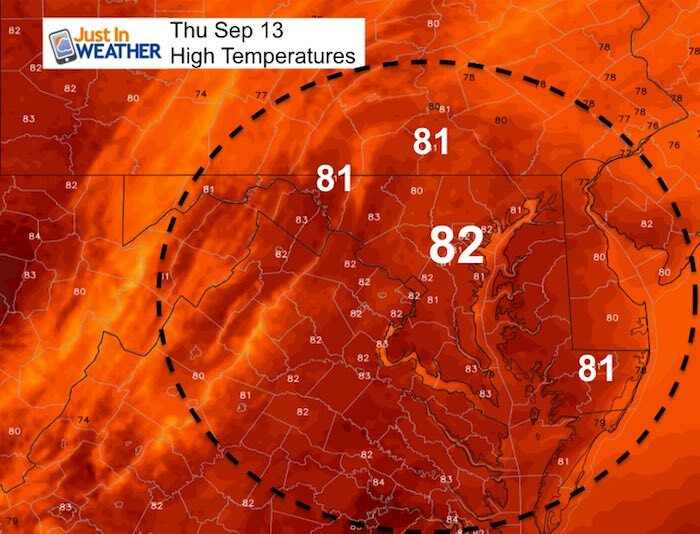 But then the impact on our region will be more of an afternoon development. See the maps below. 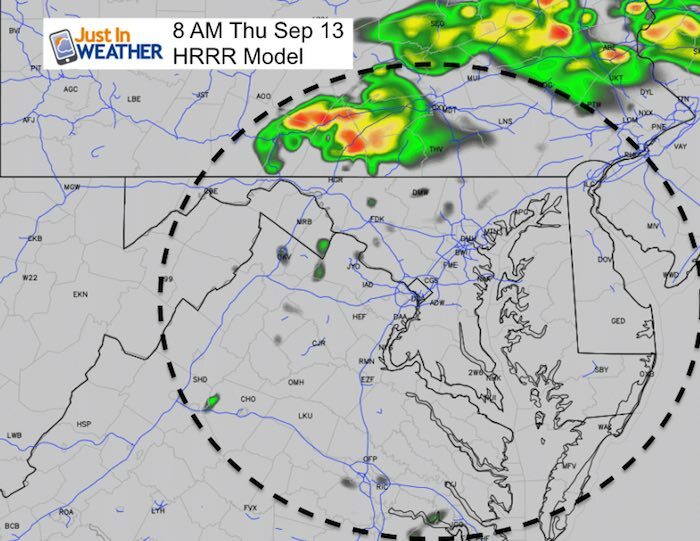 Rain bands will try to move through southern Maryland Friday morning. Then showers develop in the afternoon and again Saturday afternoon. Overall more dry hours. But in the showers winds can gust up to 35 mph. Water will remain high on the western shores. Northern areas will have a nice weekend. 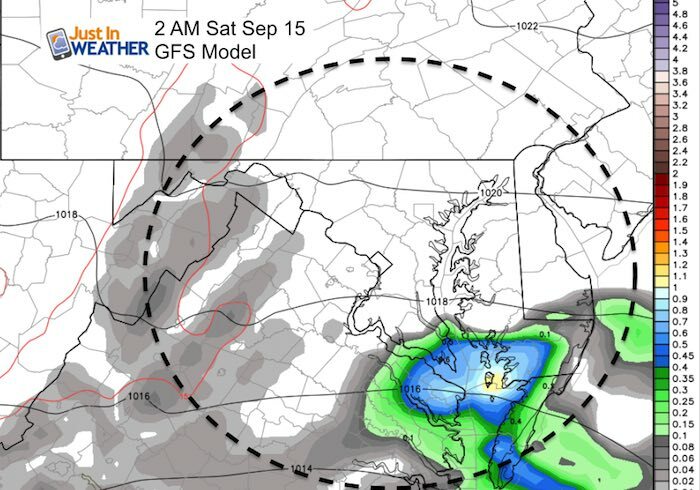 Sunday will improve for southern Maryland.